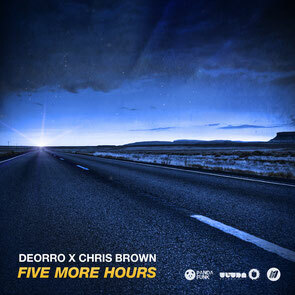 Deorro releases his new single, ‘Five More Hours’ with Chris Brown, via Ultra Music/RCA Records. With a Coachella performance on the horizon, this Latin artist emerges from the studio after seeing the original ‘Five Hours’ hit #1 on the Billboard Dance Radio & Mixshow chart, while also receiving over 48 million streams on Spotify and over 32 million streams on YouTube. Now, Deorro could be about to frequent the airwaves once again by taking his record one step further. This new rendition, dubbed ‘Five More Hours’, features R&B/pop star Chris Brown, who has had seven million album sales in the U.S., over one billion views on VEVO, a number of awards including a Grammy, and more. Here, Deorro combines all of the key elements of his funk-infused, electro original with a fresh top line from the Chris Brown offering. With this rejuvenated production being one of his biggest collaborations to date, this should allow his star to continue to rise.